See why Joel Swanson says APR is still relevant, and explore the national accreditation site for detailed info on the process. It's achievable! With focus and a qualifying case study, you can earn your APR in just 4-6 months. 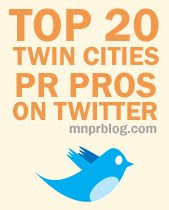 The APR Committee of Minnesota PRSA is happy to get you started! Please contact Holly Donato with any questions at hgdonato1@gmail.com or 612-805-0631 .